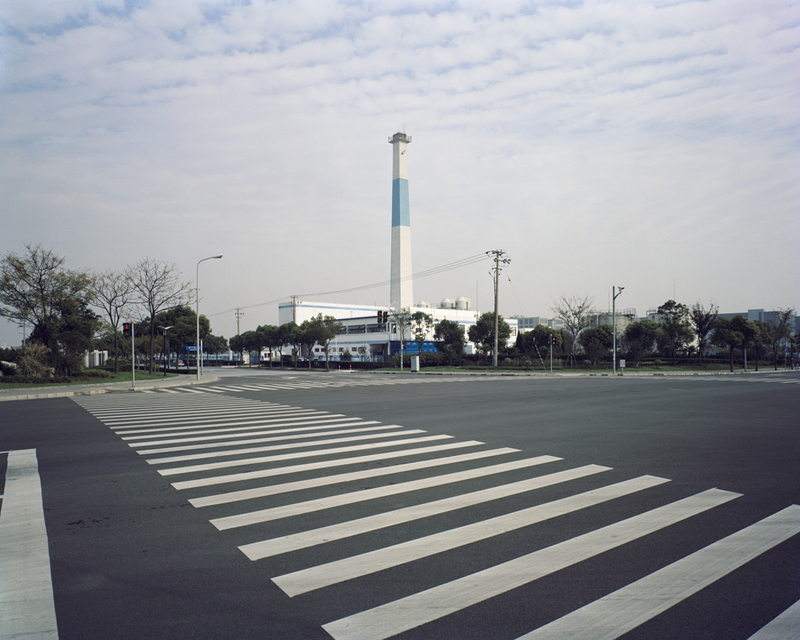 Peter Dixie is a Shanghai-based commercial landscape and architecture photographer, and founder of Lotan agency. Having trained first in the UK and later with a prominent Japanese film lab in Tokyo, Dixie places great emphasis on technique, with a style that is is precise, methodological and reflective. 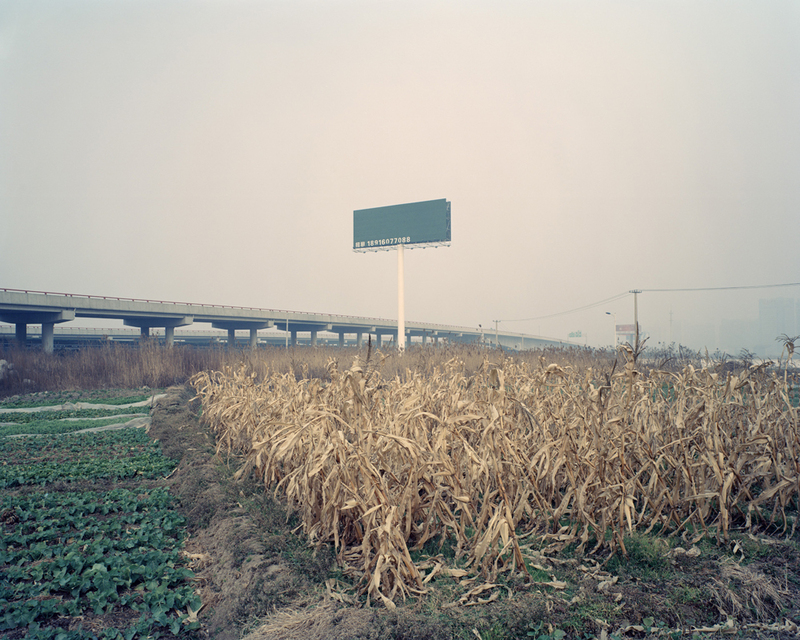 Among his many personal projects, the “Hinterland” series has captured a common developmental state within the spectrum of China’s urbanisation. 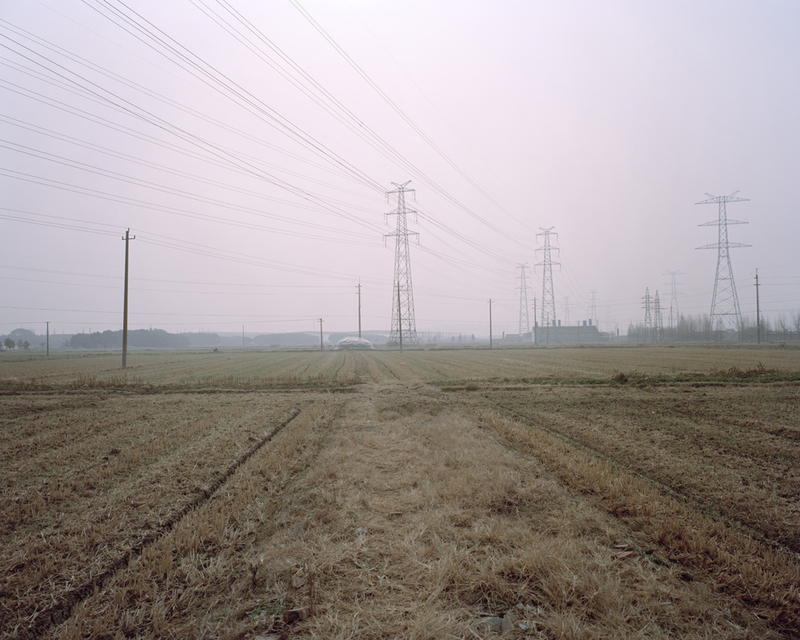 Traveling to the end of metro lines in Shanghai and proceeding on foot, Dixie pushed beyond the ever-expanding edge of the metropolis to document the steady intrusion of urban onto the rural. 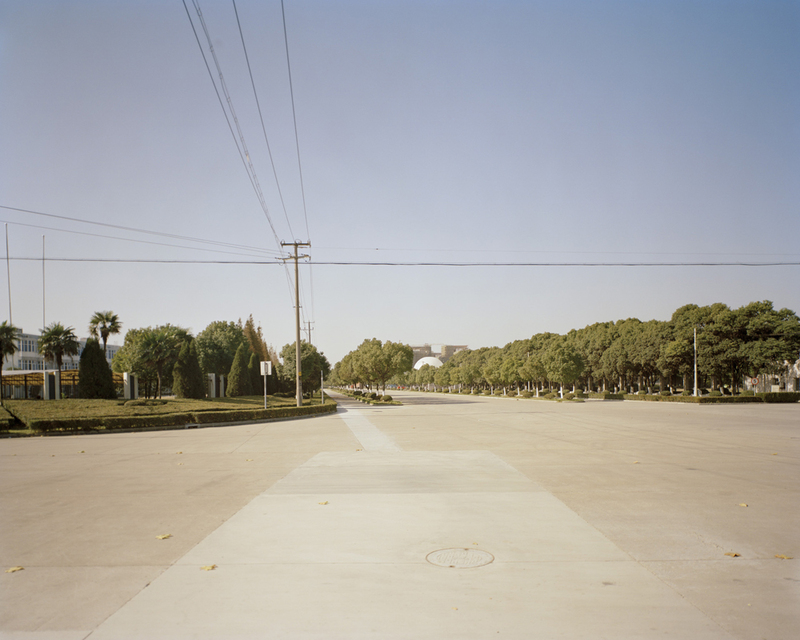 Over time, the locales where Dixie had photographed “Hinterland” become almost indistinguishable as they resembled the outskirts of any modernizing Chinese city. 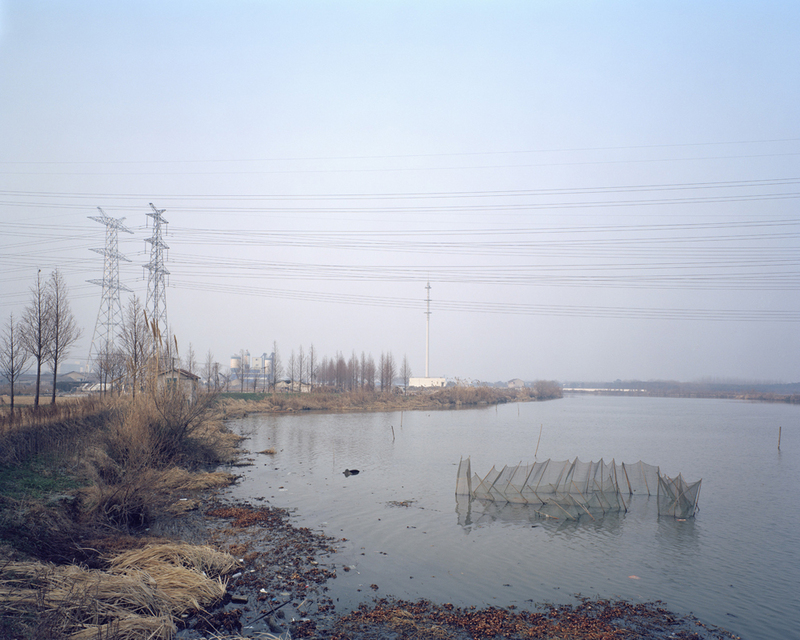 Last summer, I met with Dixie, where he spoke at length about the process of photographing and direction of “Hinterland” as a commentary of China’s broader landscape. 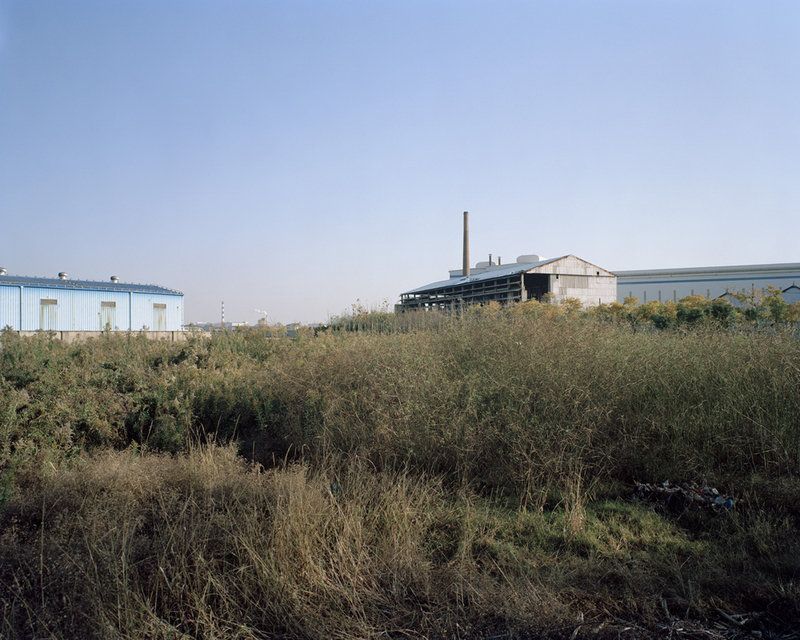 SA: How and when did you come around to conceptualizing the “Hinterland” series? PD: Before moving to Shanghai, I was studying photography in the UK, but felt I that what I was shooting was neither consistent nor important. 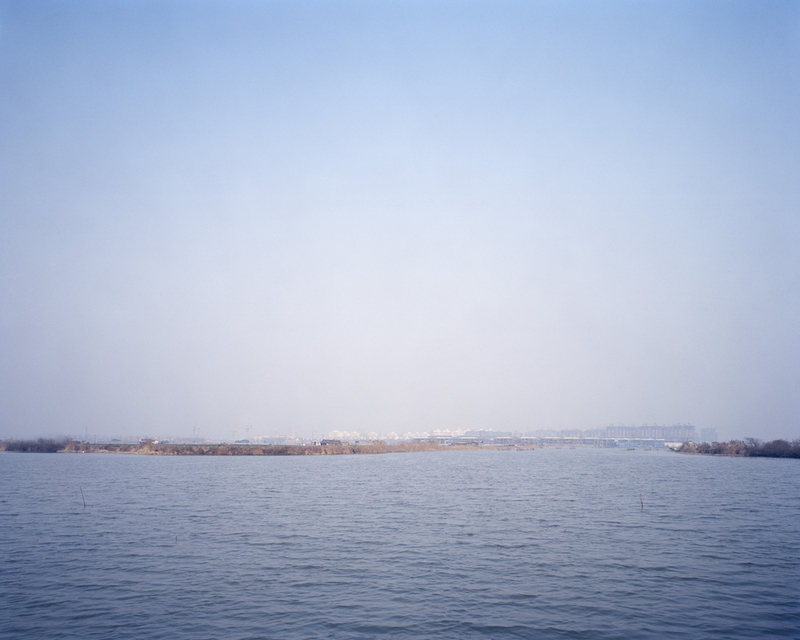 I planned then to move abroad to another large city and shoot a continuation of the large format series that I had begun in Tokyo. 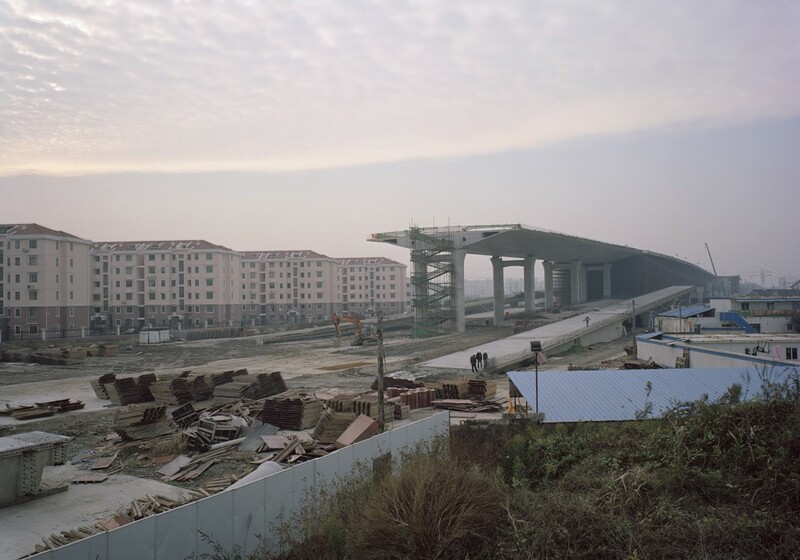 For various reasons Shanghai ended up at the top of my list and I moved here with the idea of shooting the elevated roadways. Unfortunately, I found that impossible, there was no way that I could find that I was comfortable with as a way to show the city that would relate to the earlier images. In fact at that time I found it very hard to see a way to make any images at all – it took many years and a process of rebuilding my photography from the most basic level, before I could start to look for a new way of showing the city. 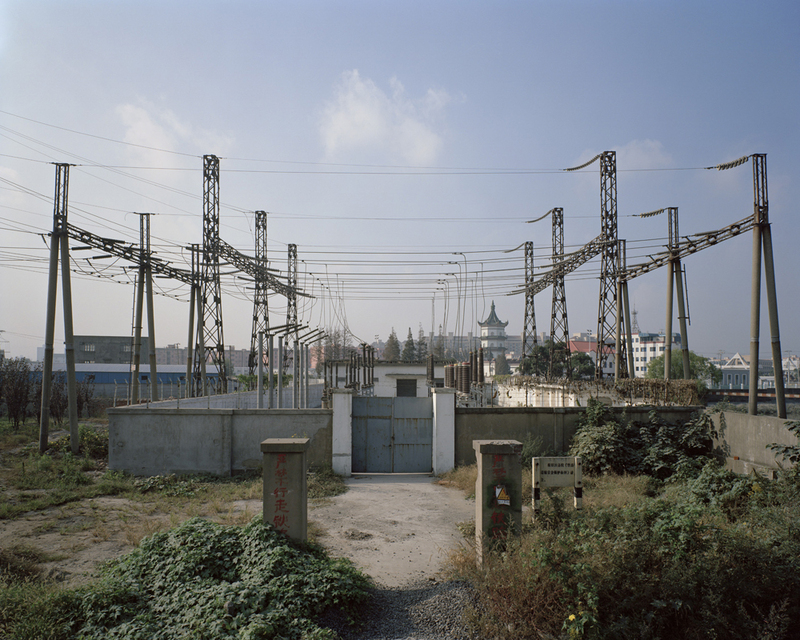 On various trips out of Shanghai – by train, and by car – I saw this area around the city – the front of development – and that seemed more interesting as a landscape to visit, explore or investigate. This was touched on in the series ‘In Passing’ that I exhibited in 2009. I decided on a very structured, systematic approach – partly because it would be easier to organise, and track progress, and partly to keep it conceptually connected. Once I had set the parameters of the work it became a lot easier to work through it systematically, station by station, clockwise around the city. 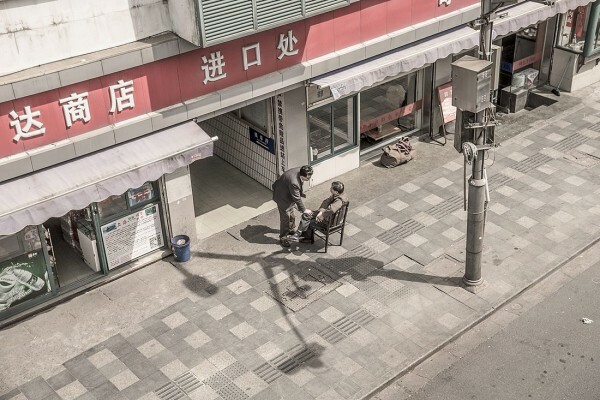 SA: Photographers in Shanghai often try to capture either the sameness of mindless modernization or the unique pockets of the city. Where do you see your “Hinterland” series in this spectrum or do you feel you are conveying something else entirely? 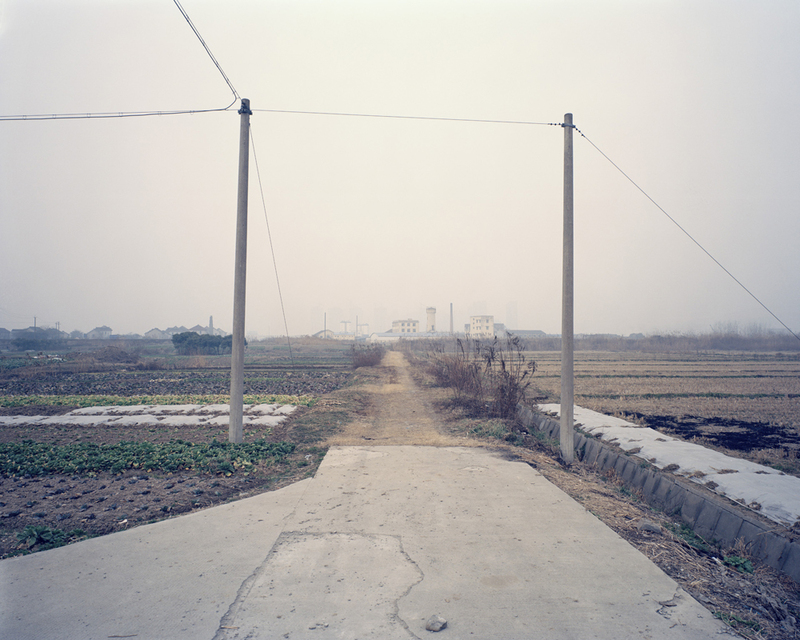 PD: My work started as (an) expression of Shanghai, but I no longer feel it is tied to this one city – these are more general Chinese landscapes – representative of the typical disruption of old patterns and a possibly uncertain future, symptomatic of the rural-urban shift and reorganisation of the population. So from that perspective I am not trying to show unique pockets, but to generalise from particular instances. 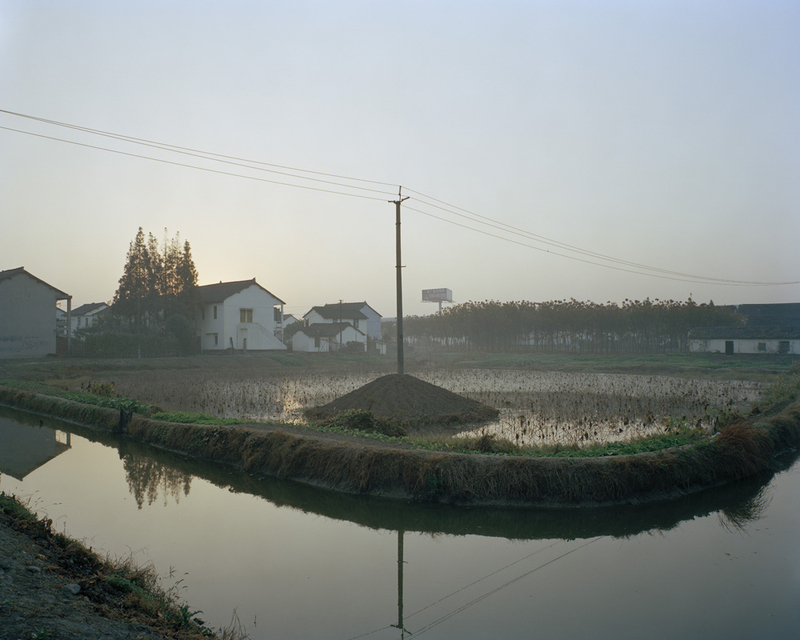 Hinterland certainly does address the process of modernization, although that is not for me the central theme, and there is evidence in some of the pictures of what is to be built but also of ways in which certain practices from rural lifestyles are implanted in these landscapes. SA: Can you take us through the process of how you decide on where to shoot? For our Shanghai readers, where have you photographed, because such details are not noted within the series. PD: The images were made at the outer end of each Metro line from the furthest North progressing clockwise. Living at junction of lines 3,4, 10, Line 3 seemed a logical starting point. (Hence, I photographed) in order: Jiangyang Bei Lu, Xinjiangwanchang, Shiguang Lu, Gangcheng Lu, Yanggao Zhong Lu, Huamu Lu, Longyang Lu, Lingyan Nan Lu, Luoshan Lu, Aerospace Museum, Minhang Development Zone, Songjiang Xincheng, Hangzhong Lu, East Xujing, Anting, North Jiading, Meilan Hu, Fujin Lu. SA: For “Hinterland”, you told me you would only shoot at dawn in the winter and never return to the same place. That is very specific, why are these factors so crucial to your work? PD: The camera, film holders and tripod are all together quite heavy and I would not be comfortable carrying that much in the summer heat. The heat also makes handling the film quite difficult as the humidity can cause the emulsion to swell and jam in the slots of the film holders. Other advantages of shooting in winter are the slightly later dawn and lower position of the sun in the sky. Weather wise, I prefer to shoot with a flat cloudy sky, and as little haze as possible, which tends to happen more in the winter and spring that at other times of the year. 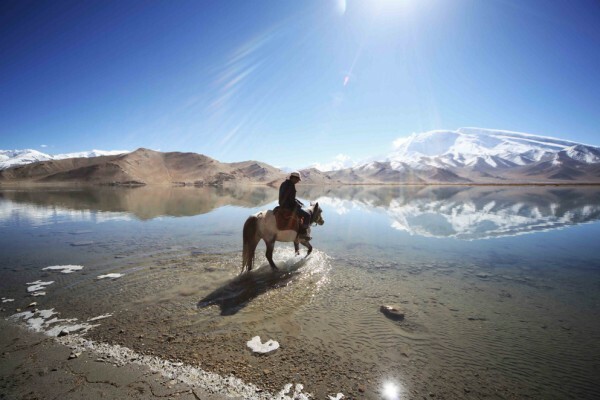 The main reason for not returning to the same places was that it took a very long time to complete the first circuit, and each trip was quite time consuming itself involving walking for four or five hours. I did not plan the route I would take before going and did not always record the locations that I had visited, although for most of the locations I can retrace my steps on a map. For the last two years I have started to repeat the process shooting in black and white and in some cases I did return to locations that I had visited before. Part of the reason for the switch of medium was that what I would select to photograph would be different because of that change. 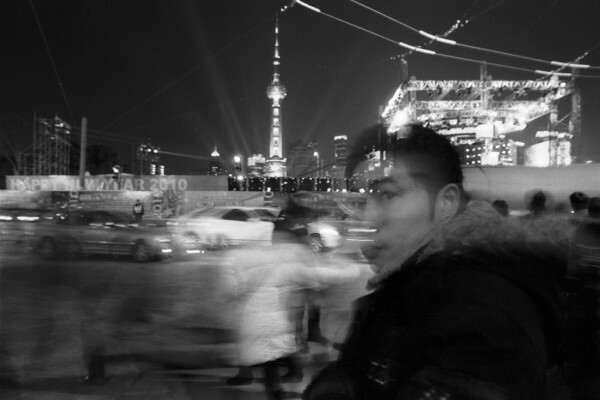 SA: A French photographer Thierry Girard undertook a similar project called “Shanghai. The Last Station”. 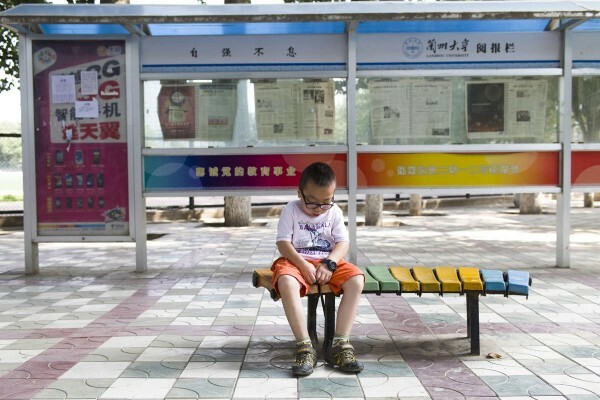 He travelled to the last stop of each line on the Shanghai metro and photographed residents, most of whom are migrant workers, and their surroundings. Girard’s project felt more like a moving part within the path of urban development. Whereas “Hinterland” feels more distant, almost frozen in time. 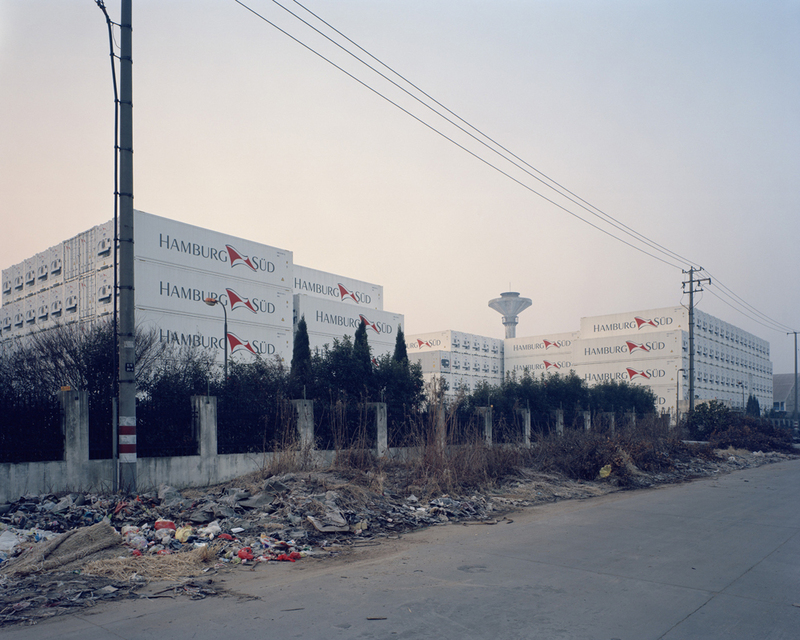 Is it fair to say both of you captured different faces of Shanghai’s suburbs? PD: Yes, I think that is fair. Liz Hingley also recently did a similar series. The largest difference I think is that there are no people in most of my pictures – they both took direct portraits as part of their work. Most of the areas that I went to are cleared of their population, but they are all absolutely marked by human activity – there is no wilderness there. And that is more interesting to me than showing people who are very quickly assessed, judged, categorised. Photography can be very objectifying. The interaction of the population, settled or transient, with the landscape is something that I very consciously try to include. Specifically evidence of the previous land use, temporary uses of the land and signs of how the land will we used in the future. And with these uses there is also a hierarchy of power or formality from major works of civil engineering, to shelters or vegetable plots created by individuals. SA: Your photography career started with an internship in a Japanese film lab. How has it influenced your technique and work? 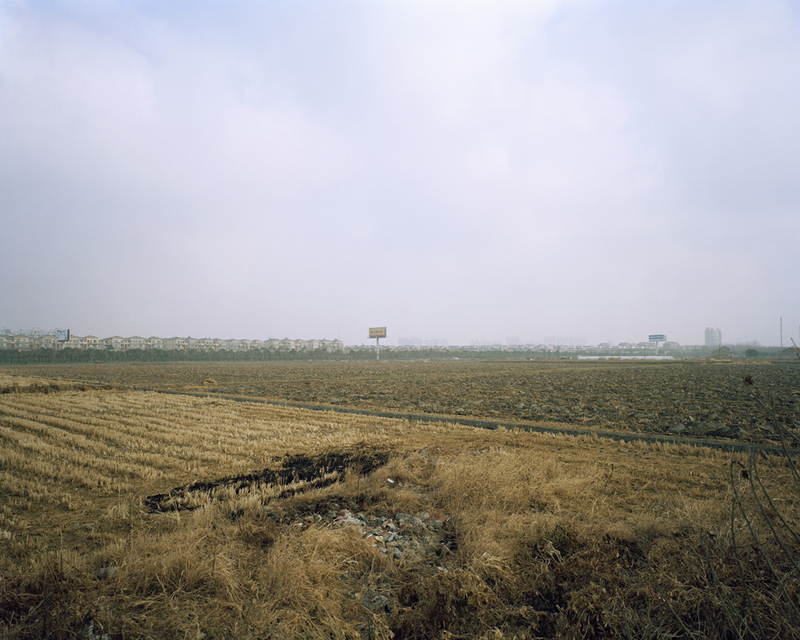 PD: Stylistically I was greatly influenced by work I saw in Japan – Sato Tokihiro ‘s Breathing Lights/Photo Respiration, Kobayashi Shinichiro’s Deathtopia, Shibata Toshio’s Nihon Tenkei . I find in these a calm, patient, persistent mode of observation. Sato Tokihiro’s work was printed at DOI Tech and prints were displayed in the window there, which is how I discovered the lab. A lot of very interesting work was being produced there and it gave me an idea of what was then possible technically – from solving my own technical problems such as printing from Polaroid instant black & white slides, to seeing how huge exhibition prints could be made from 35mm positives via large format inter-negatives. After a short while I was given my own darkroom, which gave me an incredible opportunity to regularly print my own work, and also receive expert guidance from the staff. Above all I think I learnt most from the incredible level of expertise and diligence with which every task was executed. That set a very high standard. It was also somewhere where I could get valuable feedback on my images. Where I had had prints made elsewhere they showed me where these could be improved and gave me the opportunity to learn how to do that. SA: Let’s talk a little about equipment. You shoot in large format firm; do you think the series would work in any other medium? 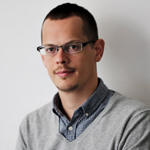 PD: What I need in terms of quality is mainly detail, and large format film is the most economic way of achieving that. At first glance the difference may not be obvious, but over time and with closer examination those details can draw out and deepen the experience of an image. It is something of a cliché to say that large format forces one to slow down and think carefully about each image. For me it has never been about slowing down, or thinking as is often said – only detail and rendering of tone and colour, primarily detail. When I was with the lab in Japan I was already taking a very careful and slow approach with a 35mm camera using copy films such as Technical Pan and trying to get as much detail as possible. They asked if it wouldn’t be easier for me to try with LF, which at the time I hadn’t heard of. I asked what that was and they brought out a camera to show me. It seemed like a good suggestion so I soon bought a second hand Wista wooden camera and a 150mm lens and started to shoot with those. Soon that became the only camera that I worked with, apart from a compact camera that I could carry with me everywhere. Use of one camera, one lens is partly practical, partly for consistency. Walking as I do there is a limit to how much I can carry – and being able to carry more film by taking less other equipment is a big advantage. The 4×5 GaoErSi that I use is also a very simple, practical, quick camera. Another reason is the cost – I would rather spend money on film, processing and scanning than on more equipment. 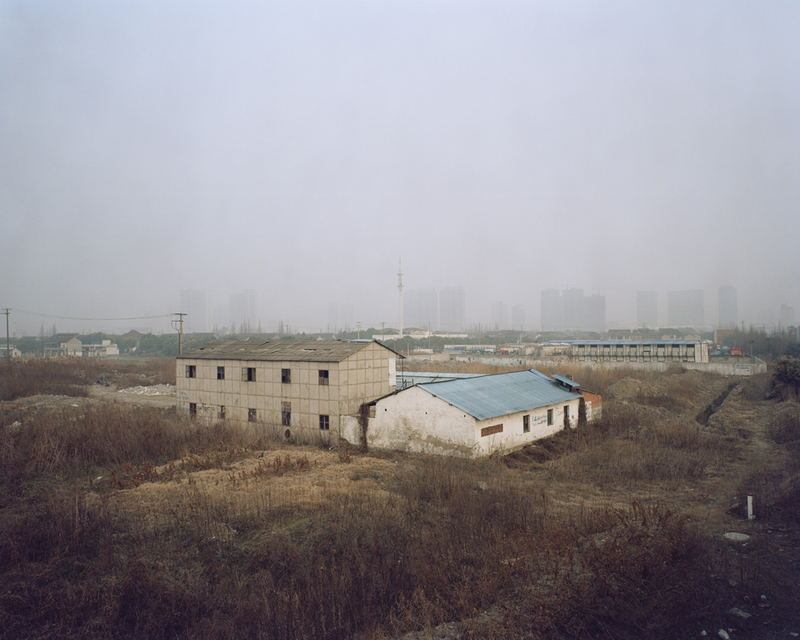 SA: Given that you travel a great deal shooting all sorts of architecture around China for work, what do you hope to achieve with the “Hinterland” series as a personal project? Are you done with this project? PD: Hinterland is now about half way done. The approach that I have taken so far, working in colour, walking from the terminal stations, is exhausted, and I plan to expand the series in black & white, and in other cities, not just Shanghai. The switch to black & white is partly in order to gain control over the process by developing the film and printing the pictures myself, secondly to change what elements of the landscape I am able to photograph. 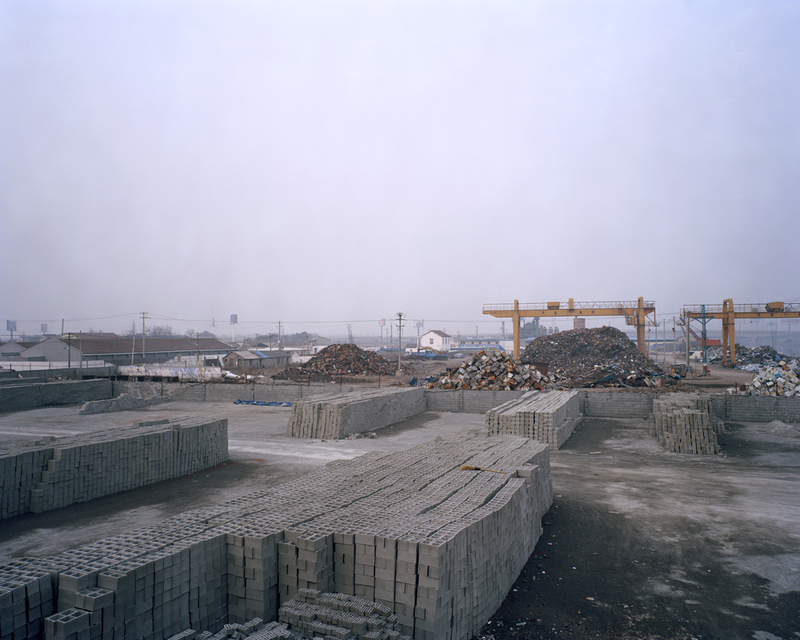 Expanding the series to other cities is now practical because we are often travelling around China for work, and additionally this travel has shown me how the patterns of development are not unique to Shanghai but quite similar in other places also. 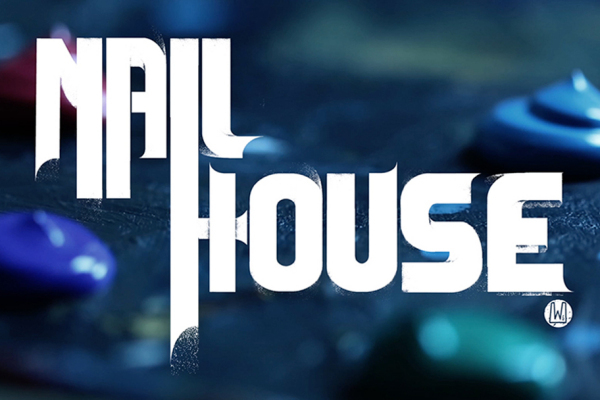 The series has been an experiment in constructing meaning. The images should, through repetition and juxtaposition of specific elements, suggest a new hierarchy of importance within each image. Individual images should contribute to an overall understanding of the whole， which then informs and augments the experience of repeated viewing. The visible is presented as a frame and guide to the invisible. Thanks for this interview. The work of Peter is amazing and this in depth discussion is really interesting. Beside the composition and the project itself, I am really impressed by the work on the colours, very few photographers succeeded in capturing what are the colors of shanghai (or even colours of China). I am looking forward the second part of the project in Black & White and I’m curious to see how Peter will deal with the absence of colour. Magnificent work. Thank you, Peter. Thank you, Sue.